I love your chrome bike! If I were a flashier sort of a gal, I would ride one too and expand your posse to the other coast! well Mary, thanks, but this Chrome bicycle is not mine. This is owned by the owner of Tattoo Moms. 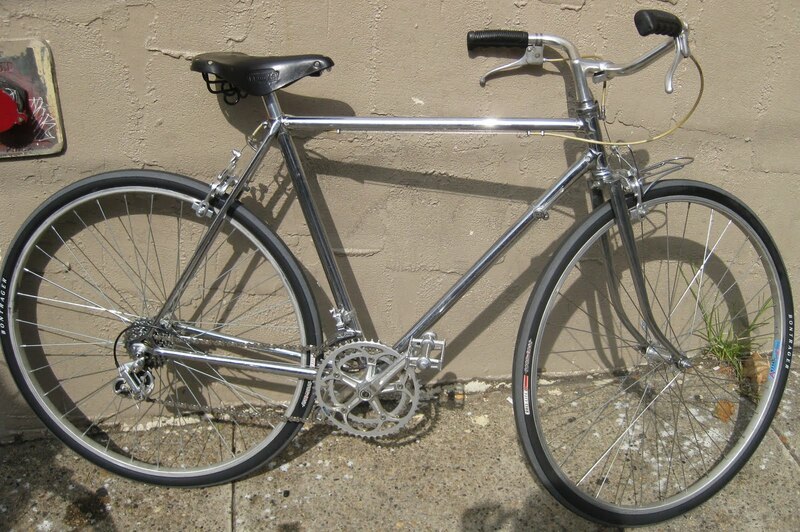 My old Chrome bike that you have seen a bunch is now owned by Brown Jeff. I have set up a new one,since you moved. I will post about it someday. 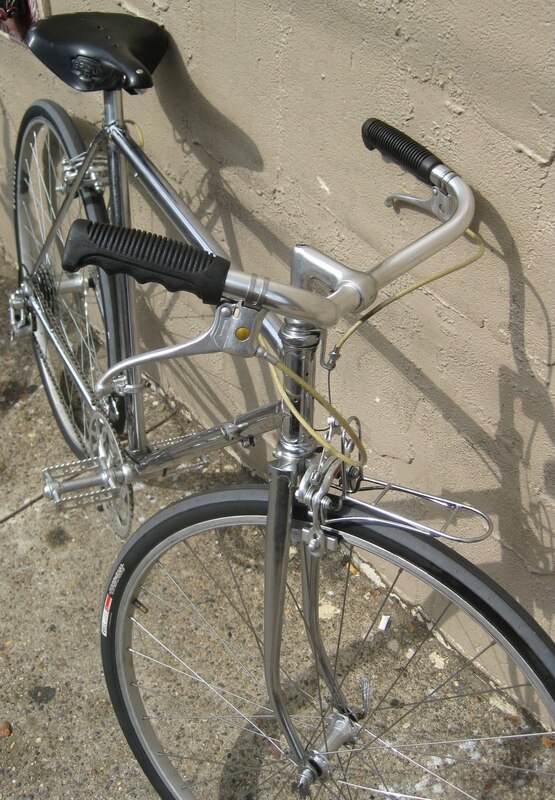 Someone showed up at the bike shop last week with another chrome bike, set up with upright handlebars, just like this, with inverse brake levers and leather sewn on grips. This chrome bike was fun for me to build. Most disappointed to find out the crankarm fell off on the first ride! I'm building an early nineties Pinarello Treviso with new campagnolo centaur drivetrain right now, have a 90's record front hub and a new record rear hub laced into campy rims from 2000. Need to find some 90's italian drops for it! Thanks for posting these pictures. crank arms fall off, it happens, especially when dealing with older, used components. The bicycle looks great either way. 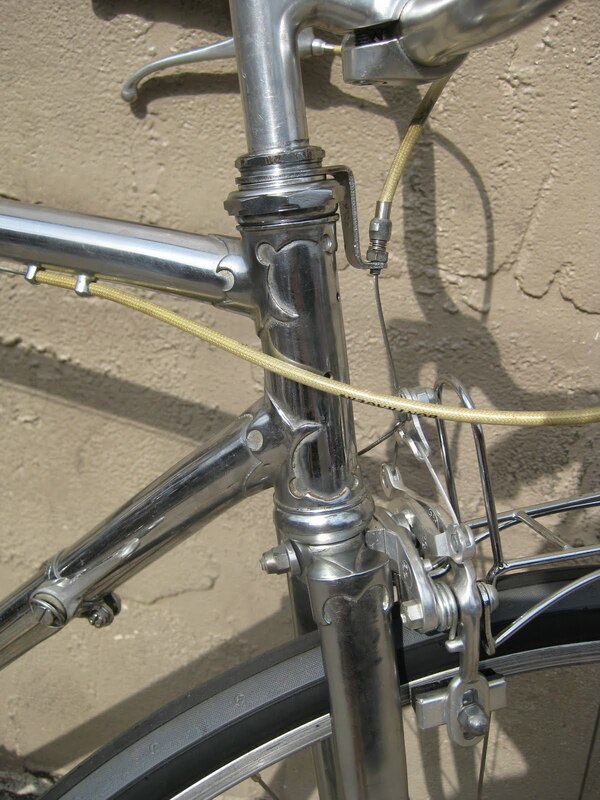 I love old chrome bikes. My parents gave me one for my birthday back in the 60s. I don't recall what brand it was but boy did I spend hours polishing it. Wish I could find one now. 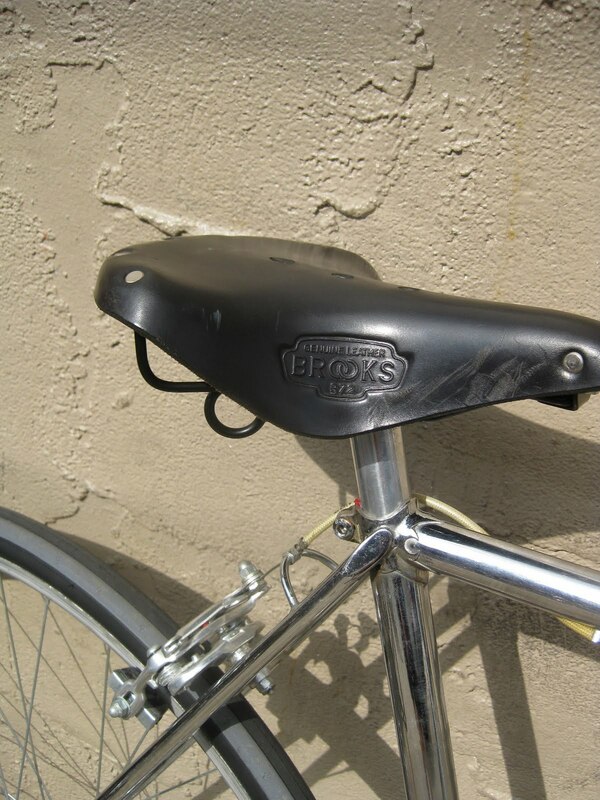 Bikeville, I would love to find one of these. Any ideas where I coud look on line for someone selling one?